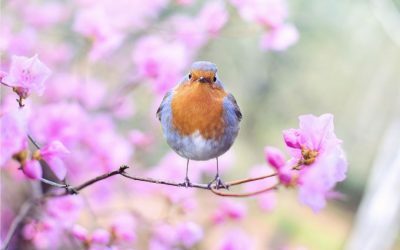 it requires time to perform tests and performance comparison. 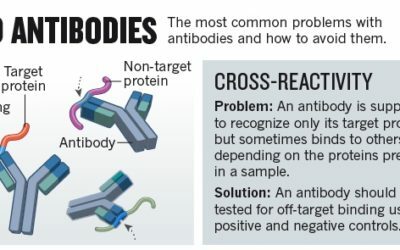 This well-known researcher who’s lab is located at McGill’s Goodman Research Center in Montreal had been using a really expensive Taq DNA Polymerase for many years. 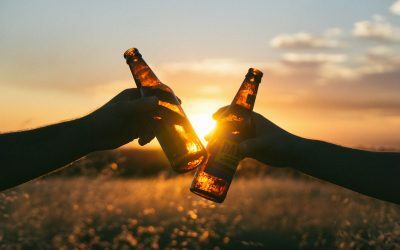 But now is the time for change. We offered them our free PCR service. They provided us with protocols, DNA primers and mouse tail gDNA samples (not purified). Please find bellow what we have accomplished using Transgen Biotech’s TransStart TopTaq DNA Polymerase. 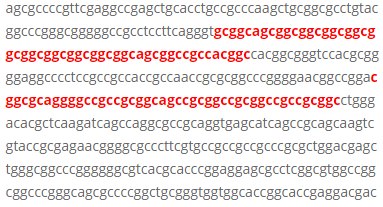 Because this Mouse Genotyping by PCR project was large, we will not provide PCR setup and cycling protocols for all genes and for simplicity reasons, we will not provide all primer sequences. 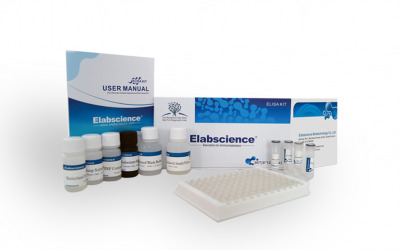 The cost for TransStart TopTaq DNA Polymerase currently is 894$ for 3000 units, thereby reducing the researchers cost for genotyping his mice colony by more than 66% without affecting the reliability of their PCR experiments. 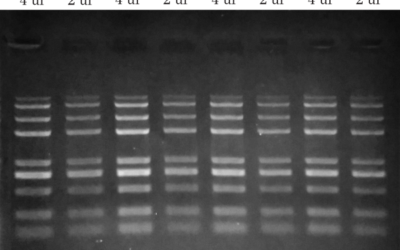 PCR amplification of Gene 1 and Gene 2 from transgenic mice gDNA samples. 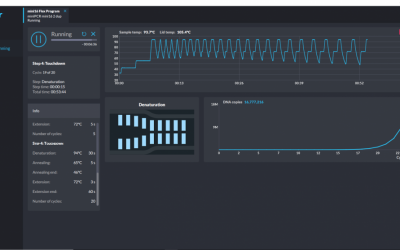 We followed the lab’s protocol using TransStart TopTaq. 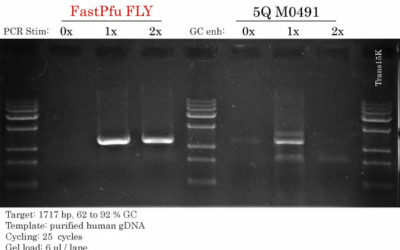 However, likely due to the ”quick ‘n dirty” extraction method, some variability was observed in the DNA content of some samples. 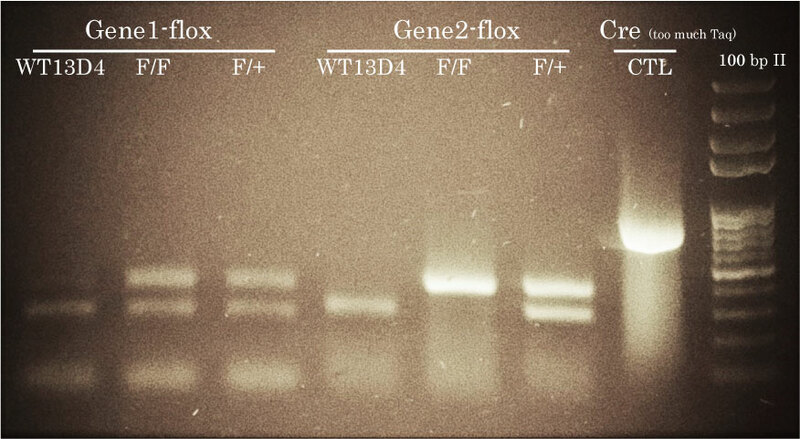 PCR amplification of floxed Gene 1 and Gene 2 alleles from transgenic mice gDNA samples. 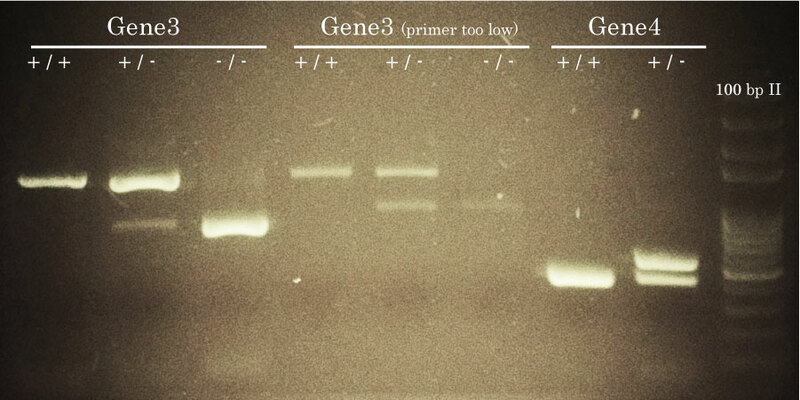 PCR amplification of Gene 3, 4 and 5 from transgenic mice gDNA samples. 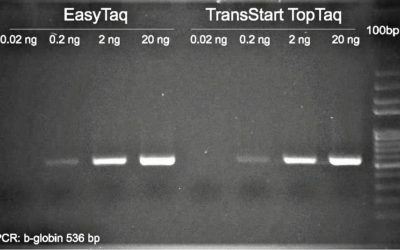 We followed the lab’s protocol using TransStart TopTaq. 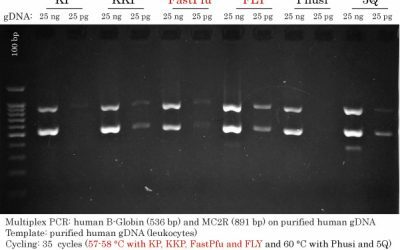 However,the lab’s protocol for Gene 4 contained half normal concentrations of DNA primers and DNA template – we recommended them to adjust these concentrations to ‘normal’ levels (200 nM each) for the future. Alternatively, there may have been variability in gDNA content in these samples due to the quick ‘n dirty DNA extraction method. 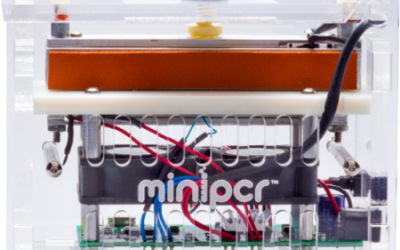 Limited Offer – Get a Free mini16 Thermocycler!